In stock - low quantity. Order in the next 15 hours, 49 minutes and it will go out today! 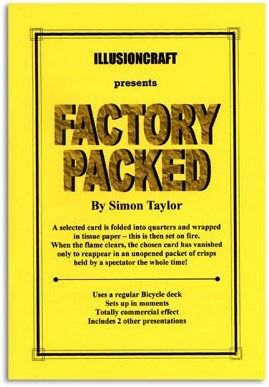 A selected card is folded into quarters and wrapped in tissue paper - this is then set on fire. When the flames clear, the chosen card has vanished only to reappear in an unopened packet of crisps held by a spectator the whole time!